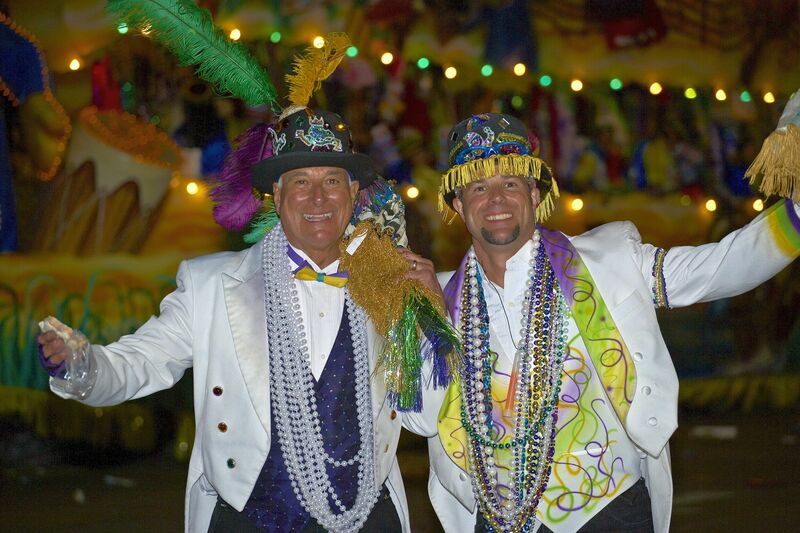 Carnival season is upon us, and Louisiana is ready to roll! From the Chic-a-la-Pie Parade in downtown Kaplan, to the Cajun Muddy Gras in Sarepta, good times are in store for revelers across the Bayou State. The 2019 season kicked off on January 6, the feast of Epiphany, also known as the Twelfth Night. Grand balls and parades aplenty set the tone for this unique celebration that continues until midnight on Fat Tuesday (March 5) when Mardi Gras festivities officially come to a close. Mardi Gras in Louisiana offers an experience like no other. Over the course of the season, parades can be found at nearly every corner of the state and all points in between. Lavish floats, flamboyant costumes, and an endless supply of beads and trinkets fill the streets of small towns and big cities alike, while party-goers from near and far arrive each year to take in the spectacular sights, enjoy a taste of Cajun cuisine, and dance to the beat of the Mardi Gras Mambo. Often coined “the biggest free party on Earth,” the New Orleans Mardi Gras scene will forever reign as king. However, Mardi Gras festivities on a smaller scale have merits all their own. Aside from the obvious benefits of lighter crowds, less traffic, and family-friendly atmospheres, every parade across the state offers a unique flair that keeps people coming back for more. Whether you prefer costume-clad canines, fast-moving chickens, or more traditional Mardi Gras events, there’s a parade that’s sure to fit your style. We’ve highlighted a few that may be of interest to you. 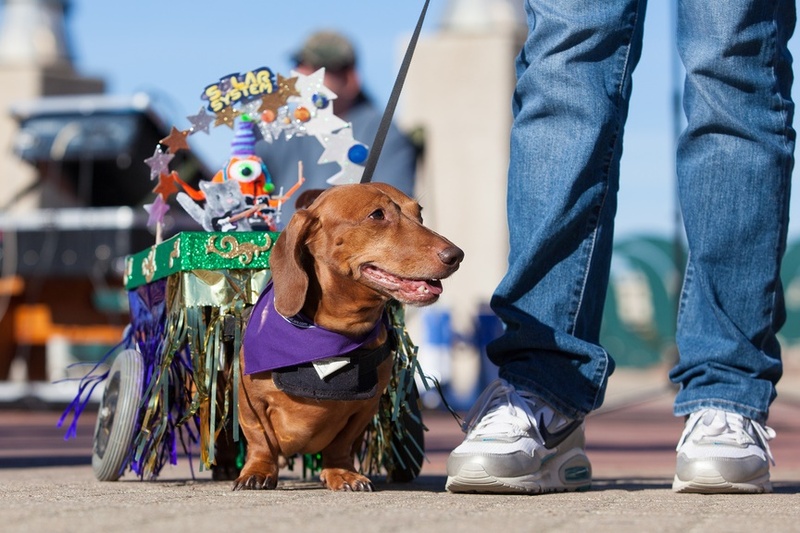 The Mardi Paw Pet Parade in Shreveport is a must-do event for those dapper dogs and cool cats eager to don their Mardi Gras duds. The Krewe of Barkus and Meoux goes all out to honor Louisiana’s furry friends. Head to Reves Marine Center in Shreveport’s River View Park for a fun-filled afternoon complete with a costume contest for the best dressed pet. This four-day Mardi Gras celebration in Sarepta kicks off Friday evening with movies and popcorn under the stars. 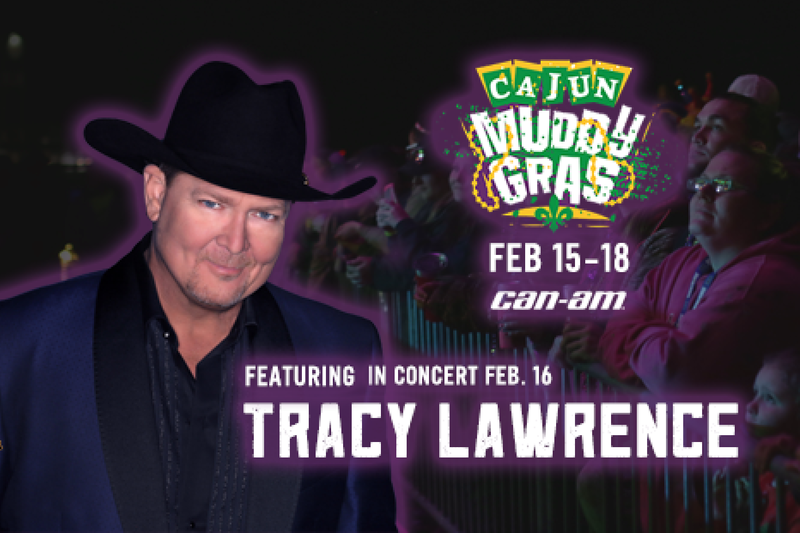 Saturday’s schedule includes the “Parade of Wheelers,” at 1 pm, and country music superstar Tracy Lawrence live in concert Saturday night. Decorate your campsite and ATV/SXS to compete for cash and prizes for the most creative Mardi Gras theme. Or try your luck in Sunday’s Poker Run. Open to patrons of all ages, the best hand wins a cash prize. Visit http://www.muddybottomsatv.com/reservations/calendar/ for more information. 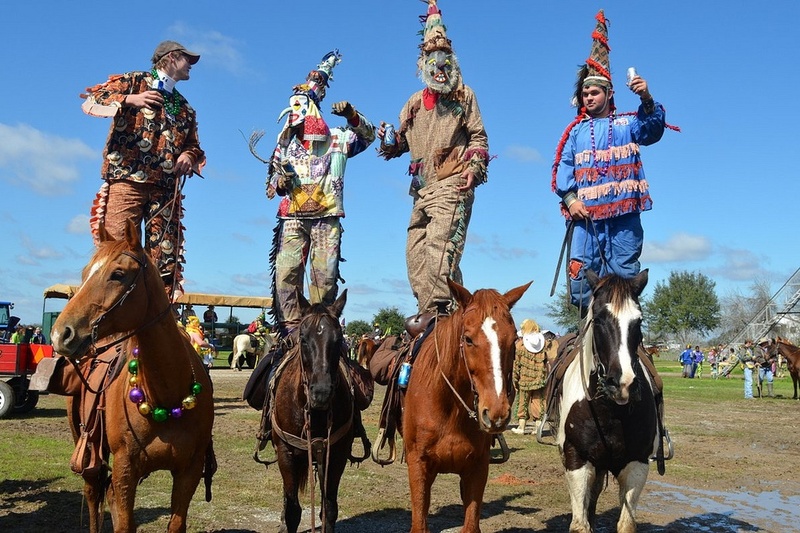 Grab your capuchon, mask, and colorful Mardi Gras outfit and head to Church Point, home to the largest traditional Cajun Mardi Gras in the world. The fun begins at 8 am when the Saddle Tramp Riders Club & the Capitan take to horseback for the Courir de Mardi Gras Run, where chasing chickens is the name of the game. Then head downtown to enjoy live Cajun music and delicacies like chicken and sausage gumbo and homemade boudin while waiting for the parade to roll at 1:30. Plan your Mardi Gras staycation today. For more information on these and other unique celebrations across the state, visit mardigras.louisianatravel.com.